Subasta de Ocio is the Spanish equivalent of the Dutch company VakantieVeilingen. The concept of holiday and leisure auctions in Spain is first introduced by Subasta de Ocio. 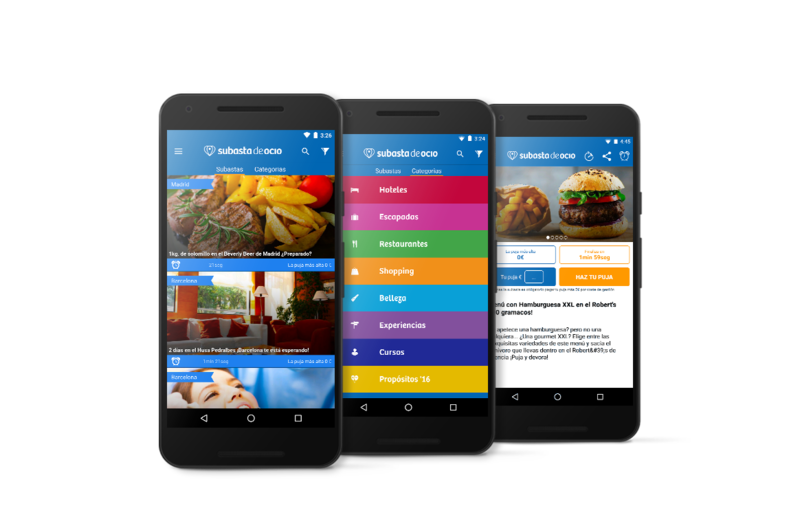 Sharewire helped Subasta de Ocio setup and develop their mobile channel. Started by former VakantieVeilingen founders, goal of Subasta de Ocio is to have a successful auction platform for holiday and leisure activities in Spain. 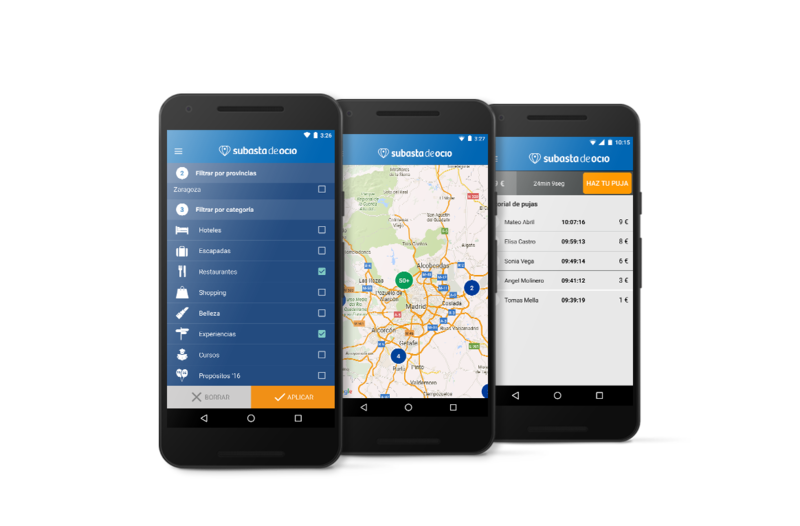 Because of our experience in M-Commerce, Subasta de Ocio contacted Sharewire for advice on and development of the mobile channel. Sharewire designed and developed a native Android and iOS app on top of a complex auctioning system. You can browse, bid and pay for won auctions directly from the app. Using continuous delivery we have a SCRUM team of native developers working on both apps, focused on increasing conversion and improving user experience. Launched only 18 months ago their mobile channel is already bigger than desktop. Subasta de Ocio now has over 150.000 monthly active users on mobile with more than 100.000 transactions per month.